BTC Marketing helped owner Christopher Gajewski to grow Bryn Mawr Orthodontic Lab from one man in a basement to a multi-skilled team in a high-tech, full-service, custom facility. As Founder and President of AOLP, the Association of Orthodontic Lab Professionals, Chris wants to share his success with AOLP members. Chris has arranged for AOLP to partner with BTC in offering members a professional website and high-quality marketing materials at a special discount, with a portion of the proceeds donated to AOLP. 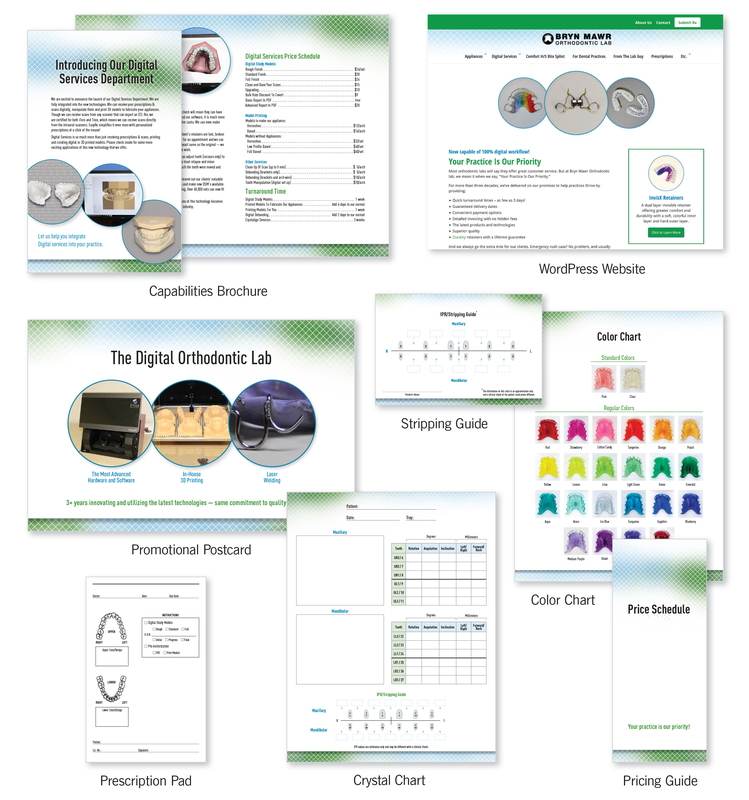 Get AOLP member pricing on everything you need to promote your ortho lab! 10% of your purchase will be donated to AOLP. Printing not included but we can send files to a printer near you. Based on brynmawrortholab.com, a 10-page site with your company’s logo, colors, fonts and photos. You edit the existing text or supply new text. We train you to manage the site yourself. Based on materials created for Bryn Mawr Orthodontic Lab, with your company’s logo, colors, fonts and photos. You edit the existing text or supply new text. Purchase as a package or a la carte for prices listed below. Interested in taking your lab to the next level? 998 Old Eagle School Road, Suite #1207, Wayne, PA 19087 | (c) BTC Marketing. All rights reserved.